The Boone Central/Newman Grove track and field teams got their 2018 outdoor seasons underway in a pair of meets this past week. 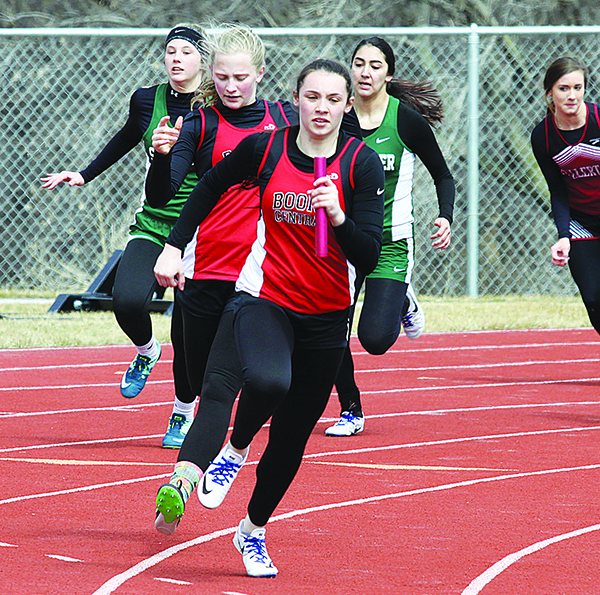 The Cardinal girls and boys both placed second to the Norfolk High School sophomore teams at the Madison triangular March 27, then hosted the annual Mansfield Invite Thursday, March 29, in Albion. Boone Central/Newman Grove had its first outdoor competition of the spring at Madison and came away with 15 event victories overall. Leighann Miller had the highlight of the day for BC/NG, setting a new Newman Grove school record in the discus (114’3”). Boone Central/Newman Grove competed against Fullerton, Schuyler and St. Edward in Thursday’s Mansfield Invite at the Boone Central athletic complex. 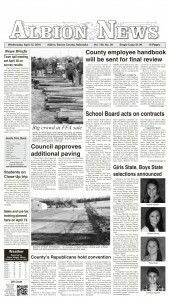 The Cardinals won nine events in girls competition and five in the boys division. “We had a great day. We were able to place in every event we entered and, as a team, we were able to win 14 events!” Pestel said. “On a cold day, our kids did a great job warming up and preparing for their events, which led to some really good performances. Sophomore Lauren Hedlund (200, 400) and freshman Marysa Duerksen (100, 100 hurdles) paced the Lady Cardinals with two event victories apiece. Miller (shot put), Mattie Young (long jump) and Jordan Stopak (1600) each won one event. Scoring event wins for the BC/NG boys were freshman Jonny Lindgren (800), Cody Nelson (high jump), Jessie Sullivan (shot put) and Jon Merten (discus).